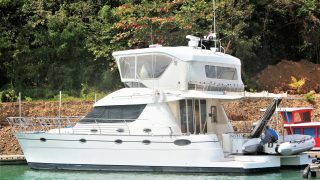 Great condition Catana 45 owners’ version power cat for sale. 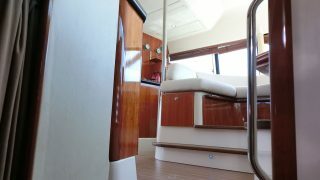 One of Catana’s beautiful and well built Powercats they made a foray into she has great lines with a fair turn of speed. 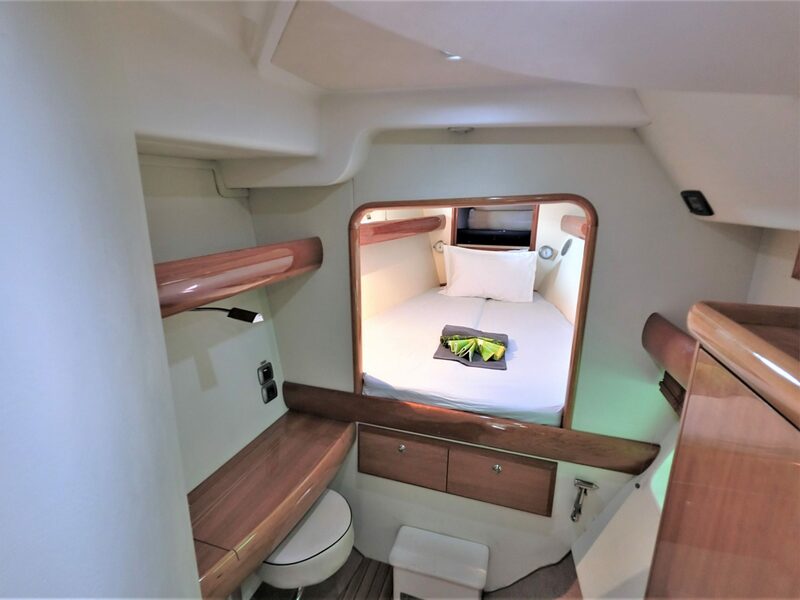 Catana is renowned in the fast cruising sail Cat market where their catamarans are well regarded for the long-range cruiser who likes speed under sail. 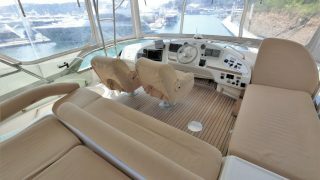 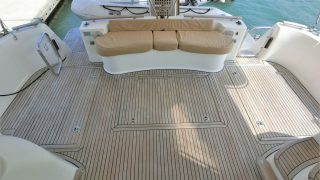 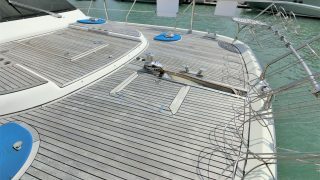 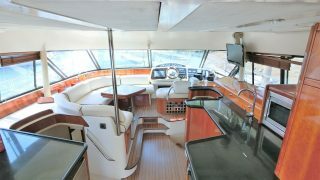 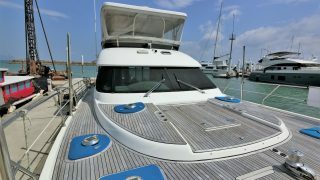 For those clients that are not sailors here is a long distance PowerCat that does the same for the power owners. 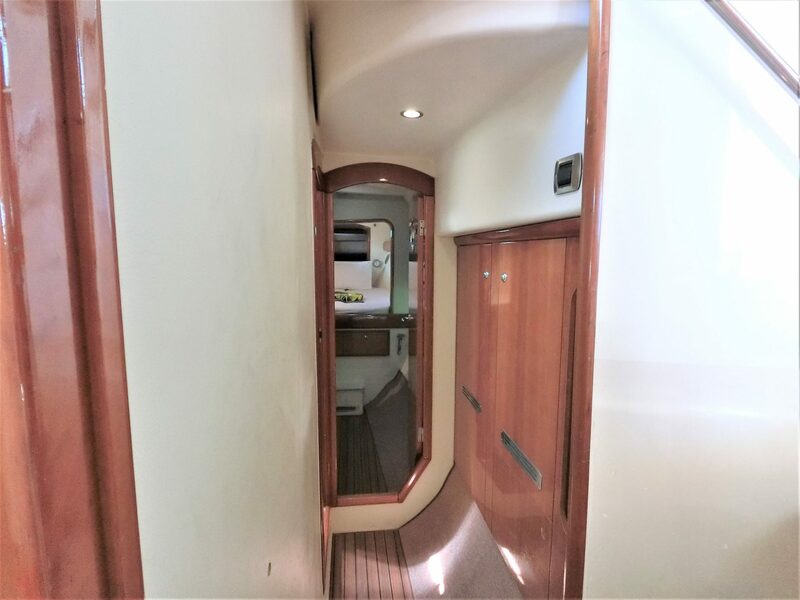 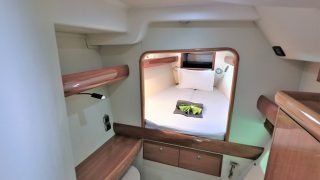 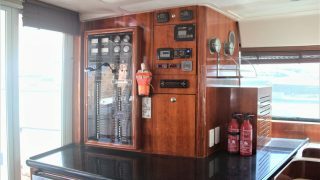 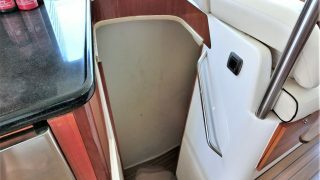 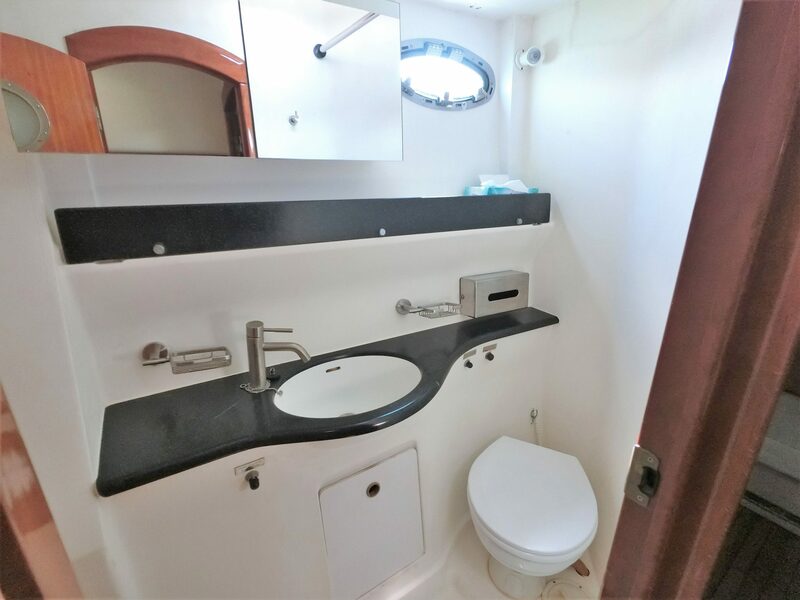 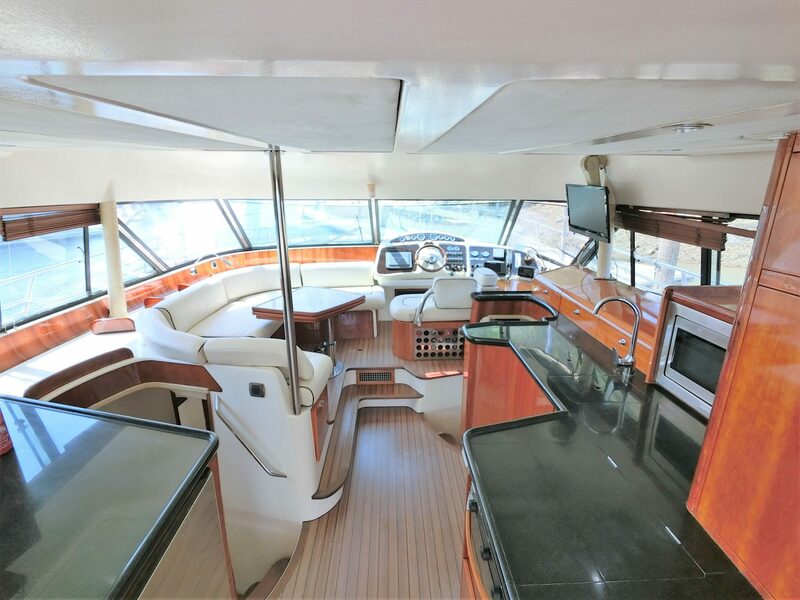 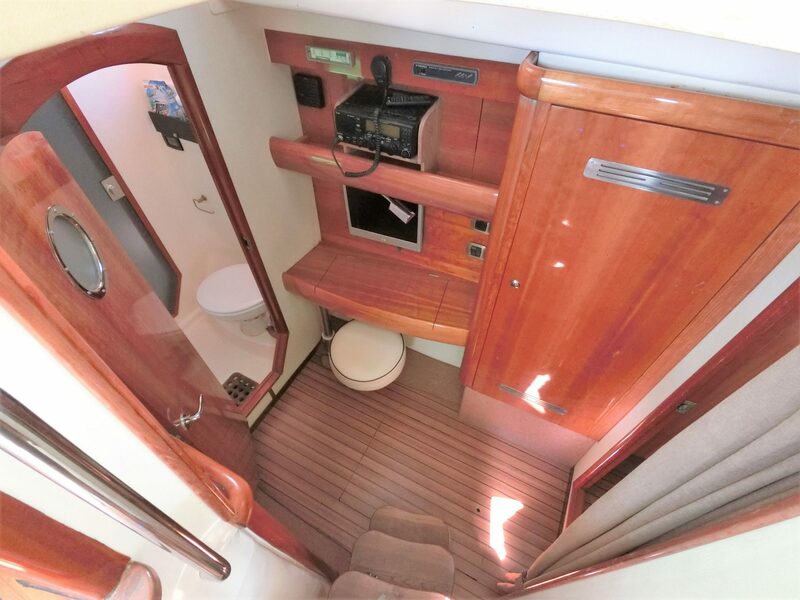 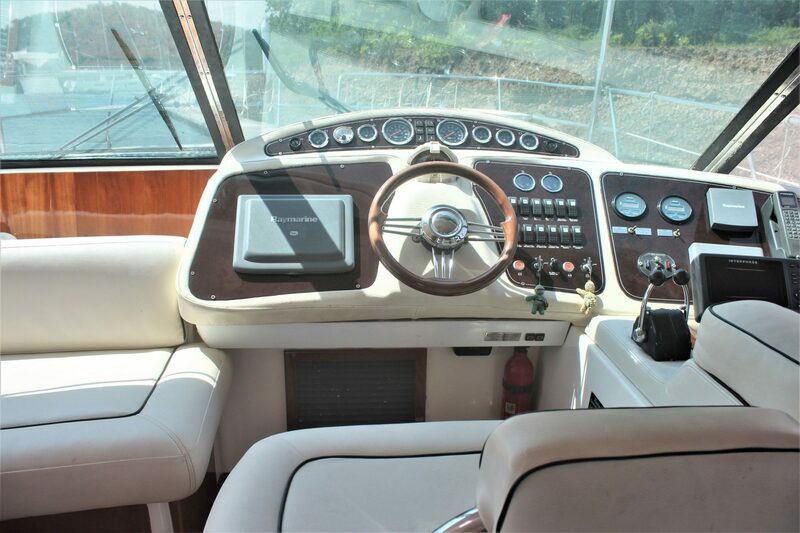 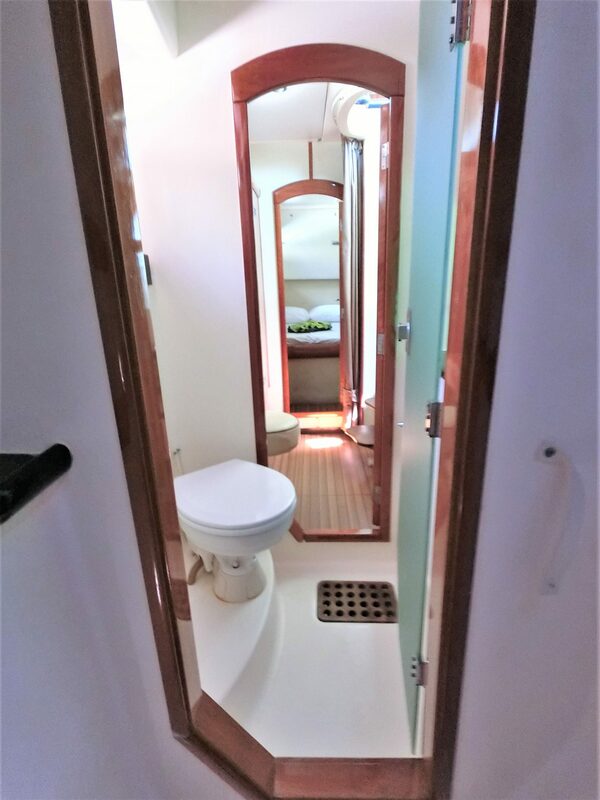 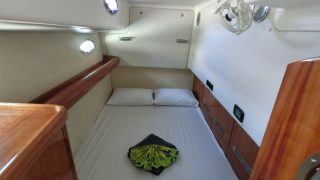 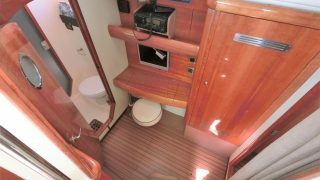 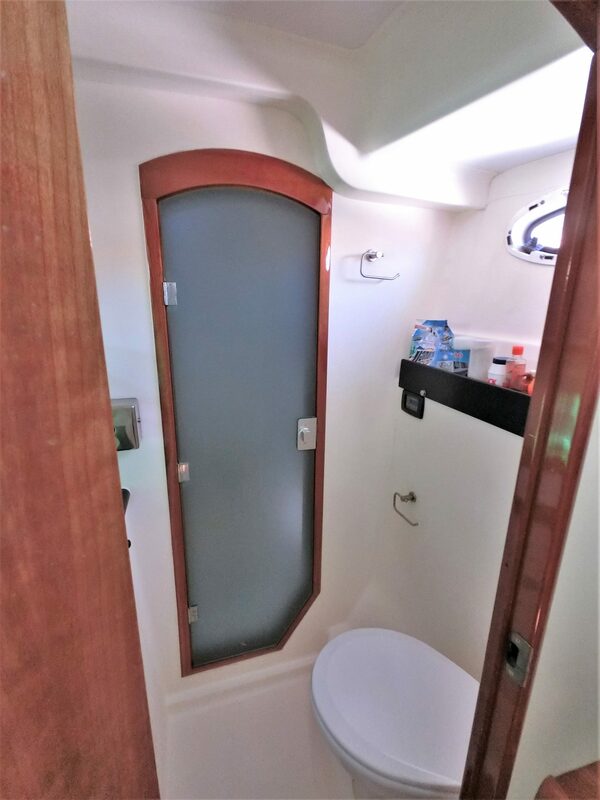 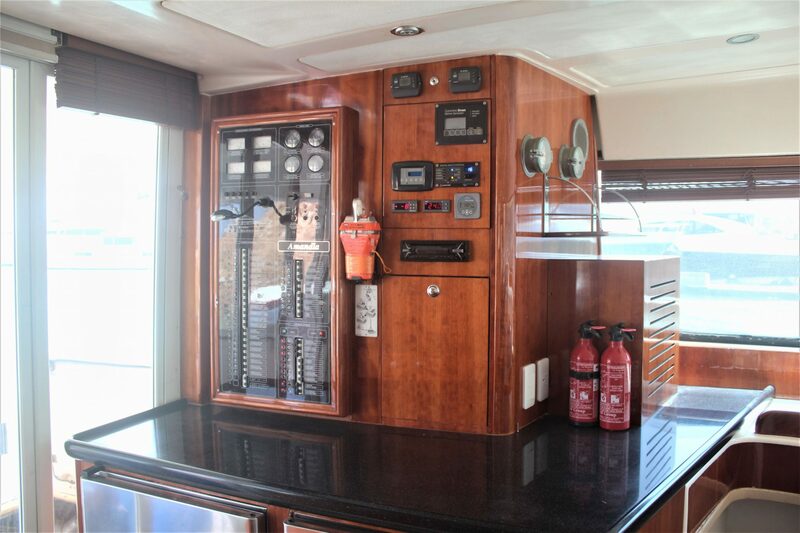 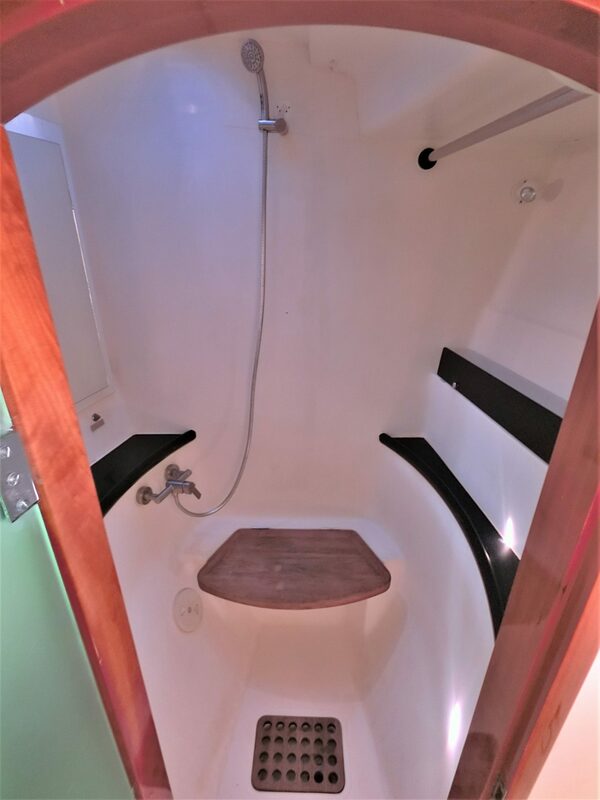 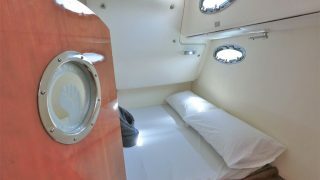 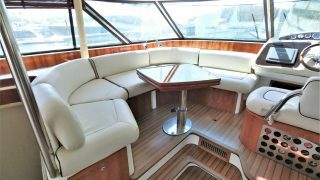 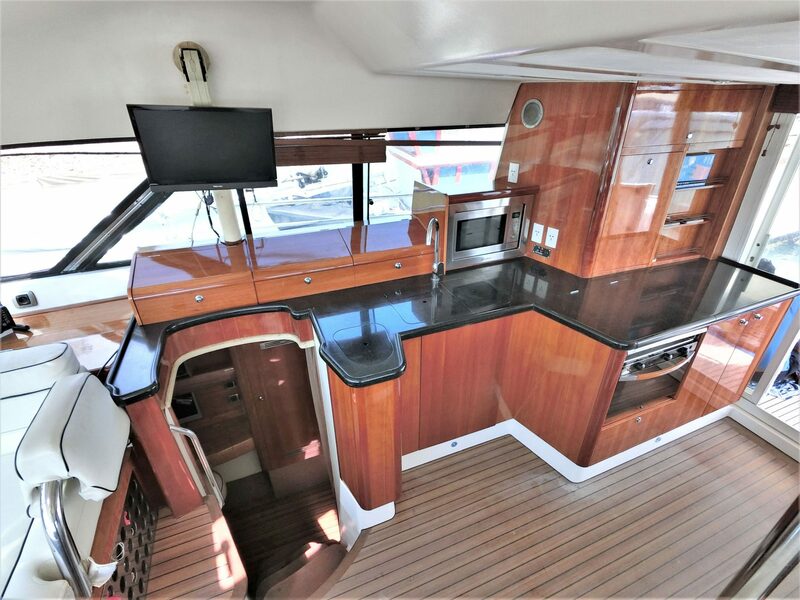 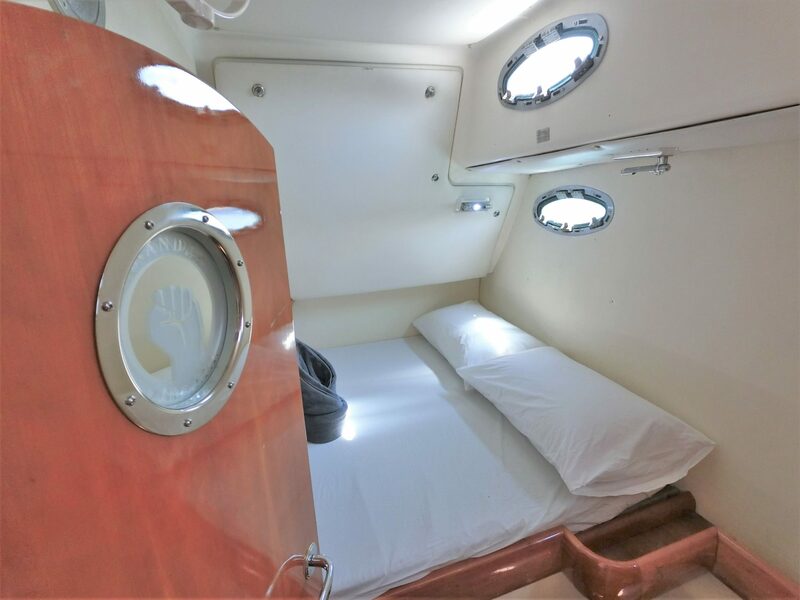 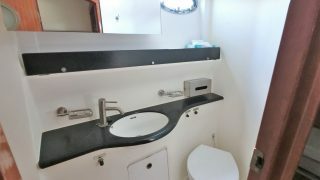 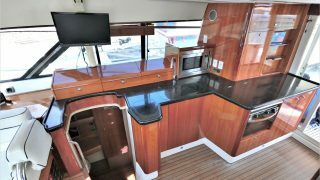 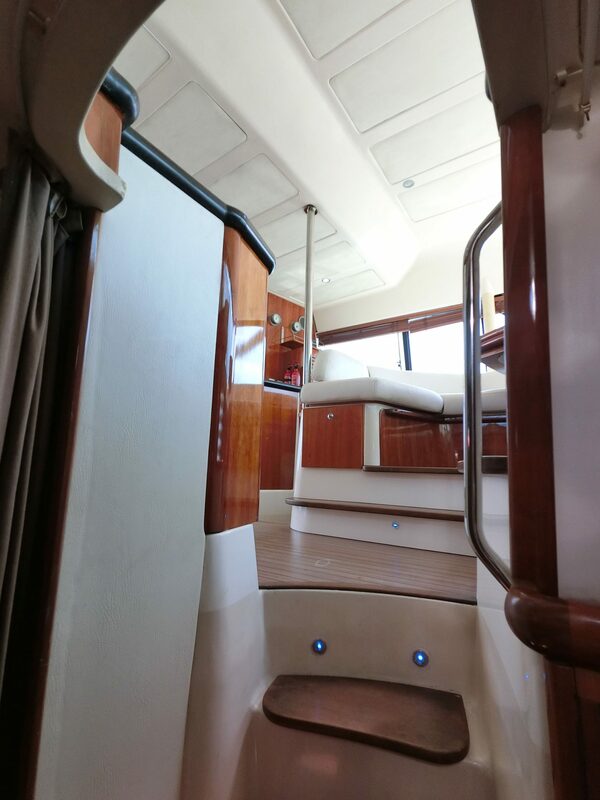 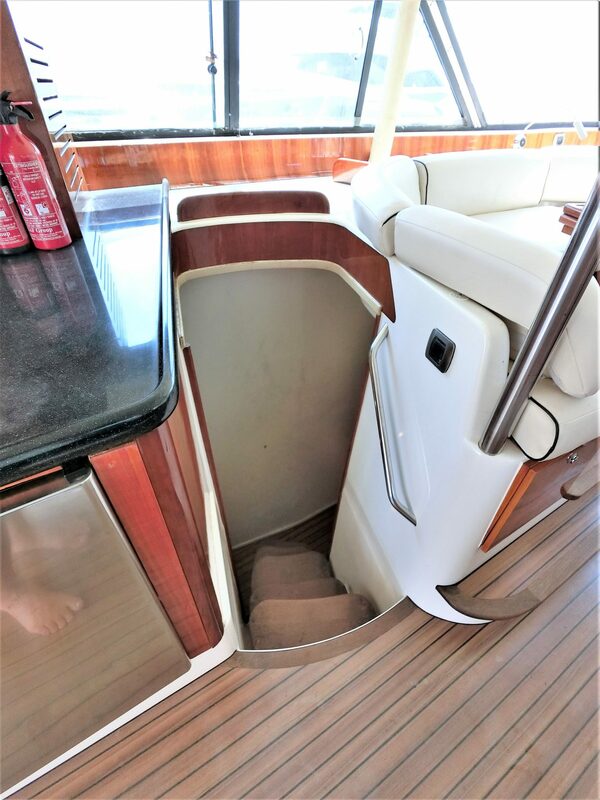 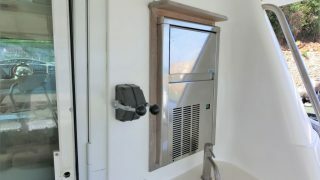 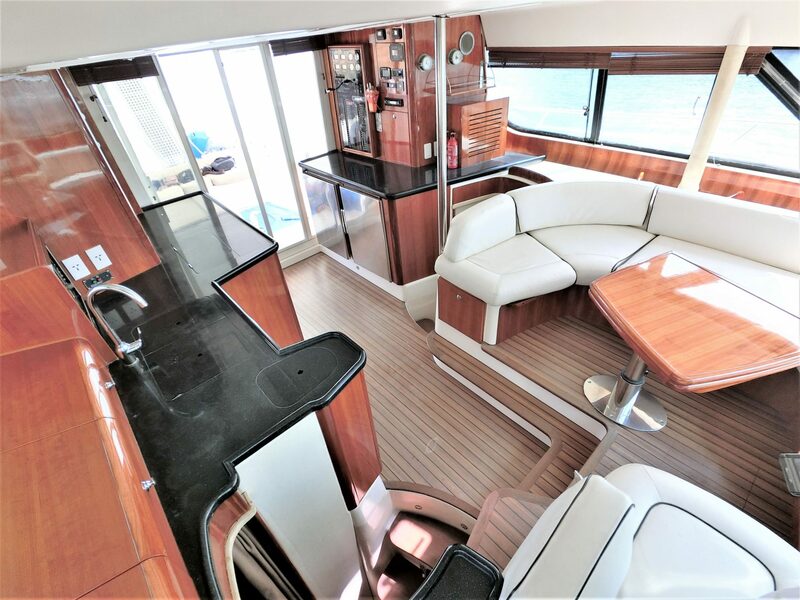 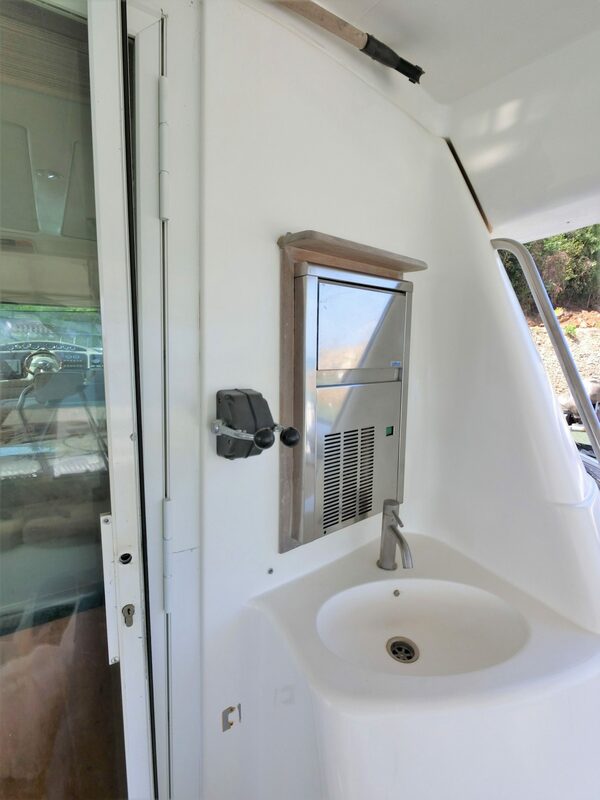 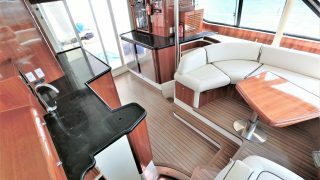 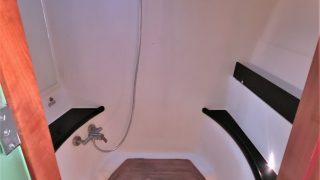 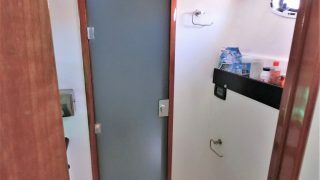 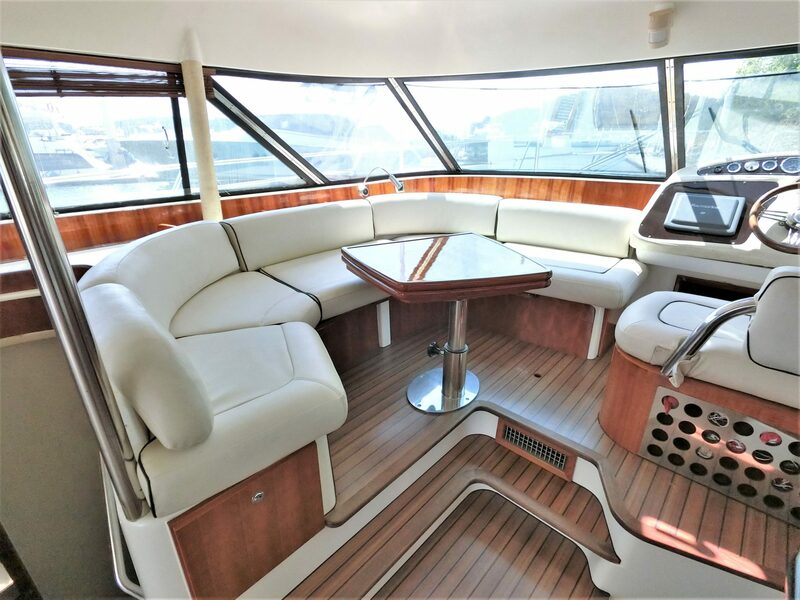 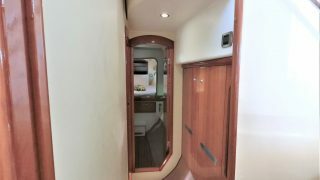 Beautifully finished in high gloss wood panelling in all the right places, this 3 cabin Cat works very well as a live aboard comfortable world, or regional, explorer. 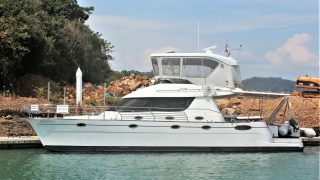 This is precisely what the current owner and his family have been doing for the last few years, surfing and diving their way through Indonesia’s 1,000’s of islands. 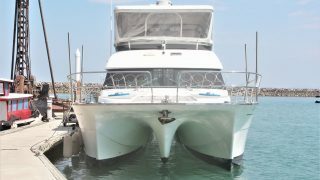 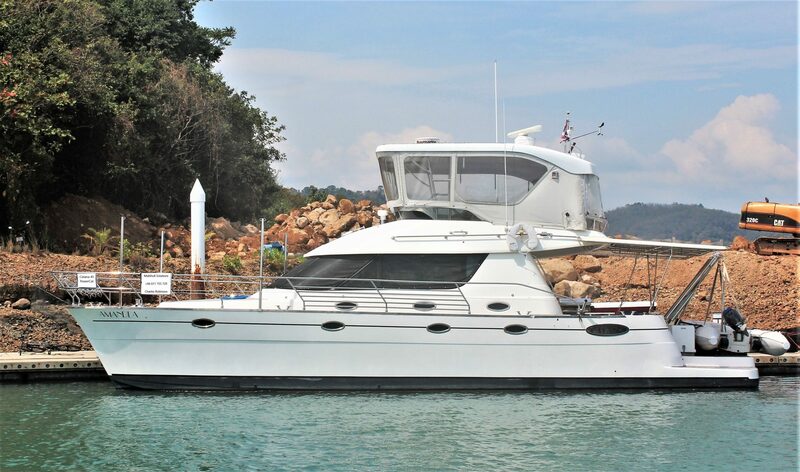 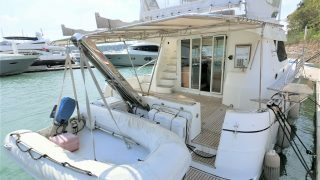 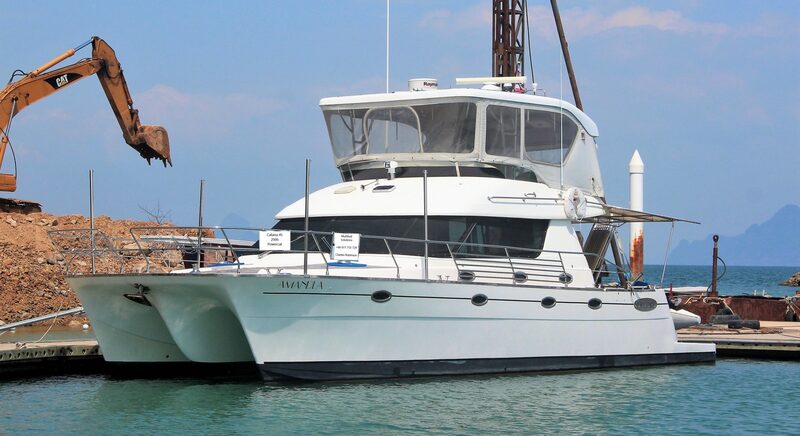 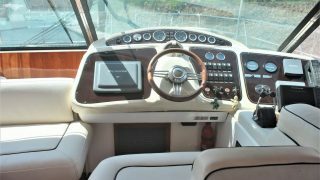 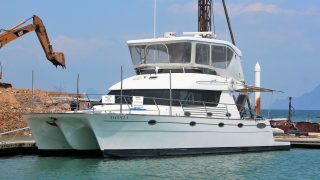 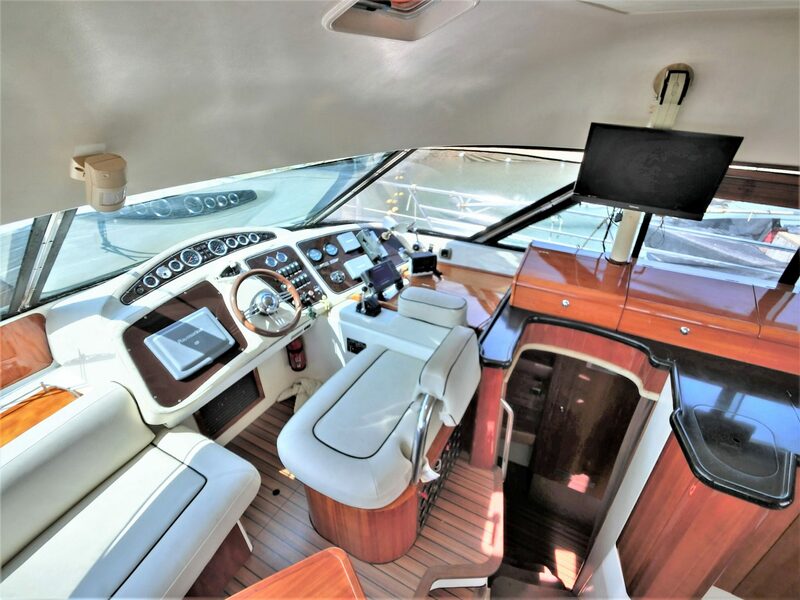 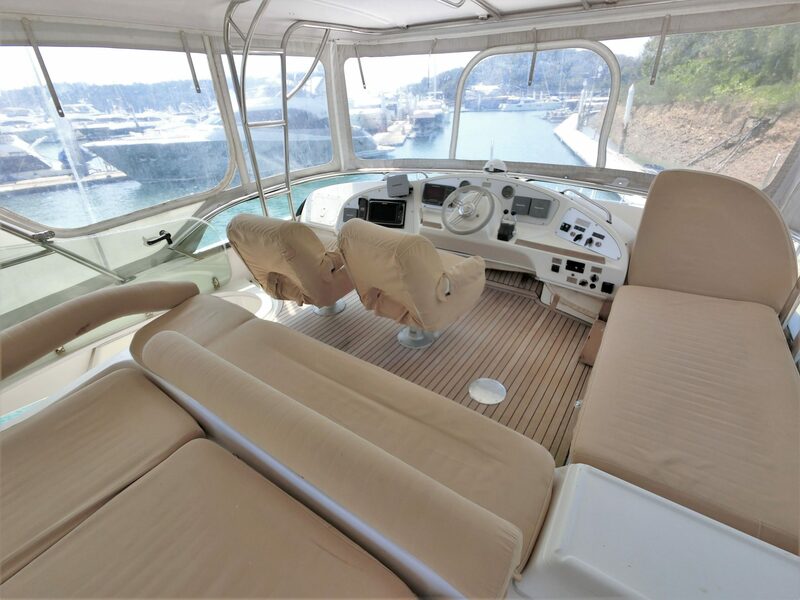 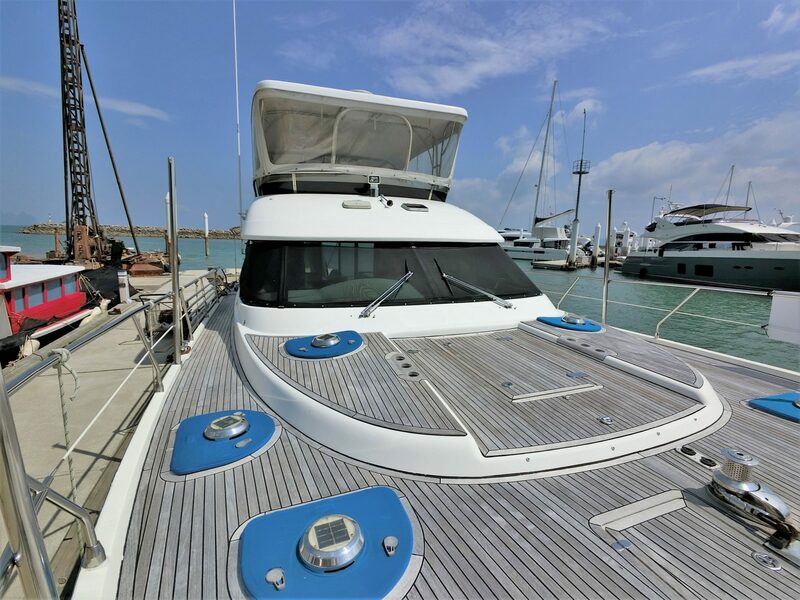 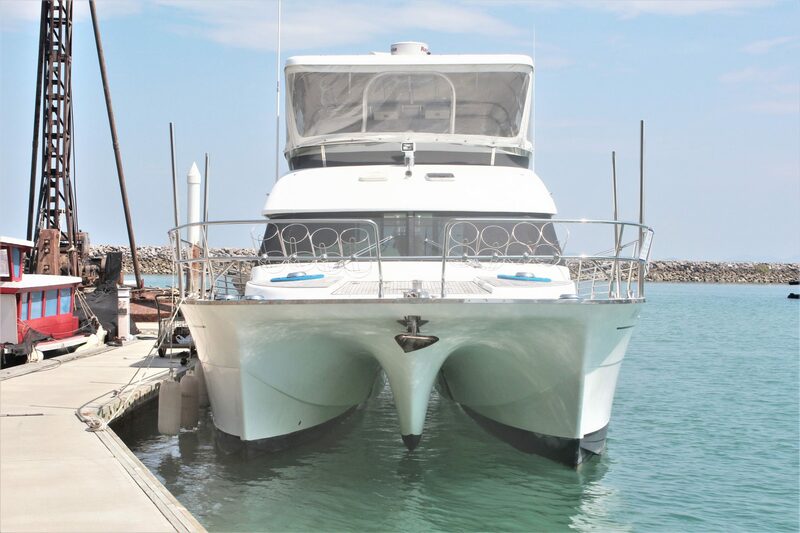 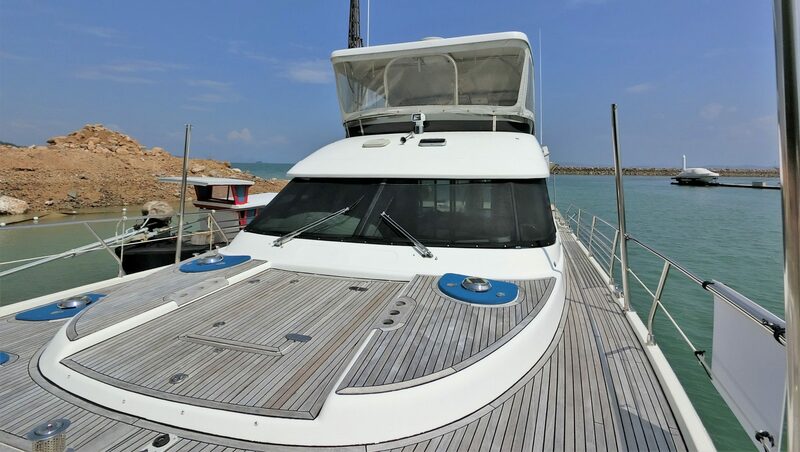 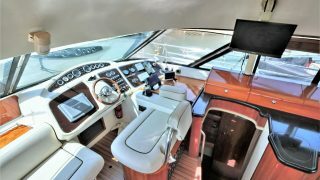 For the family cruiser or lone explorer, you will be amazed at how well laid out she is with aircon, genset, new batteries, interior wood refinished to the highest standards and the option list goes on. 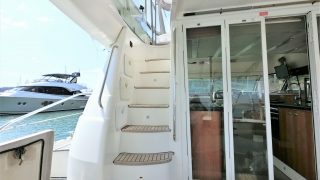 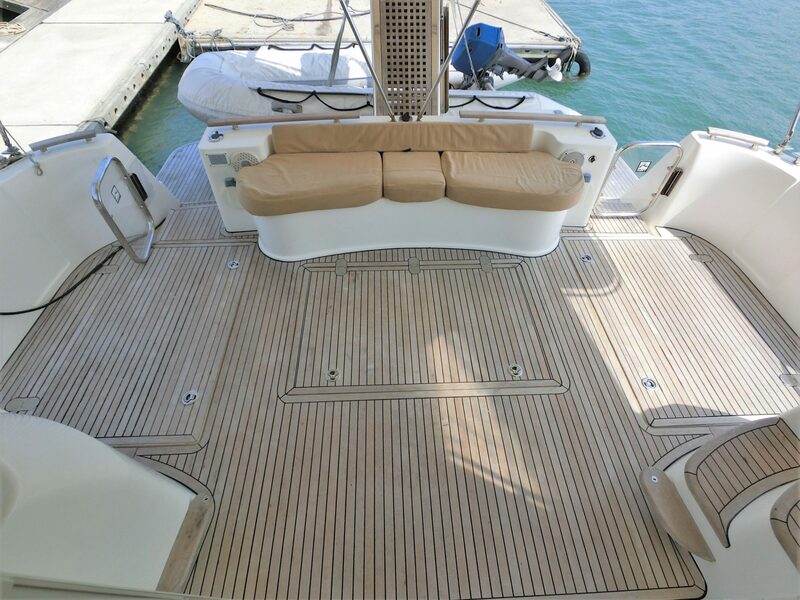 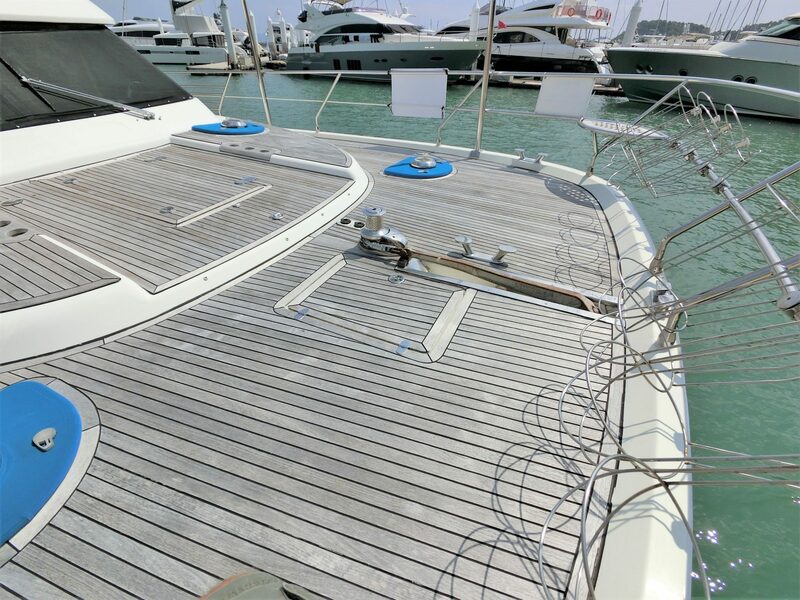 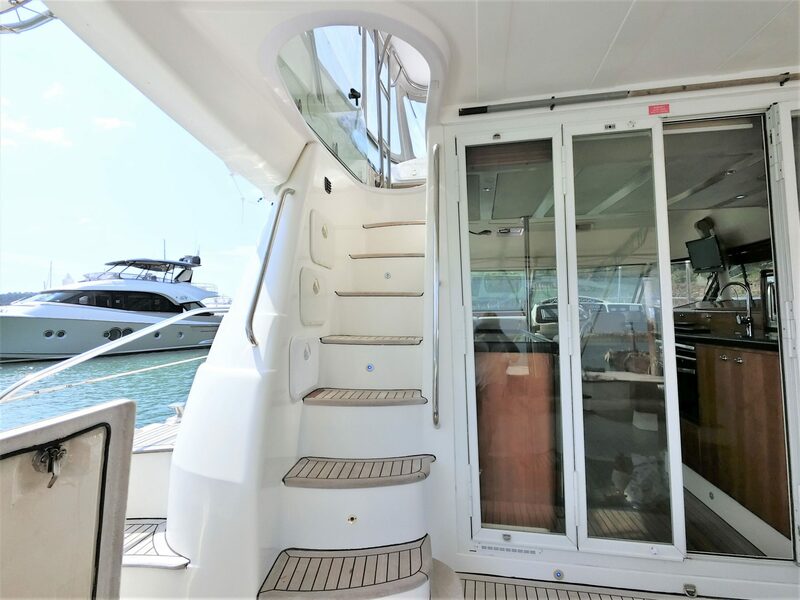 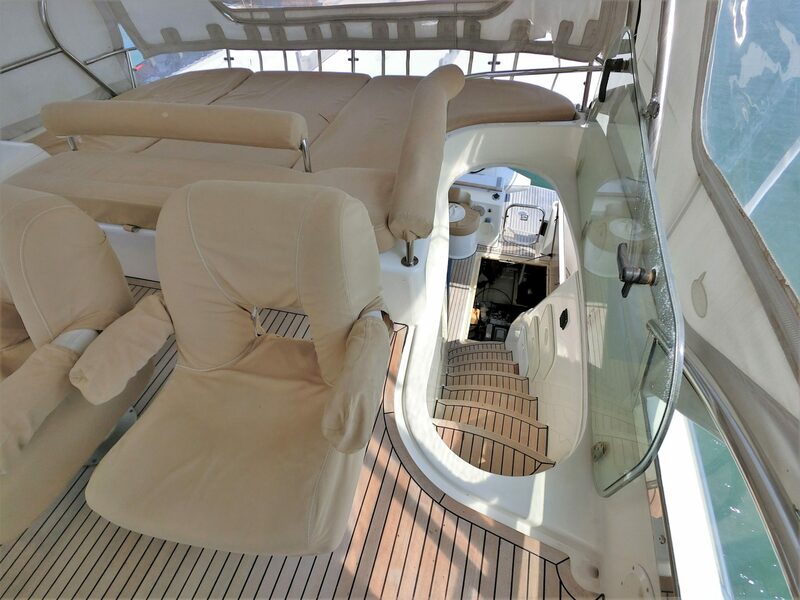 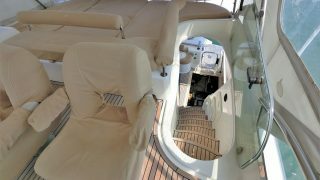 Aft and Flybridge Biminis’ coupled with a great sun cover for the large forward deck area keep you cool at anchor while watching the surfers do their thing on the nearby surf break. 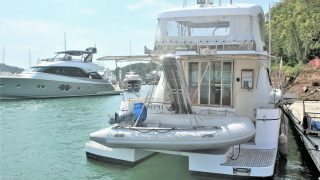 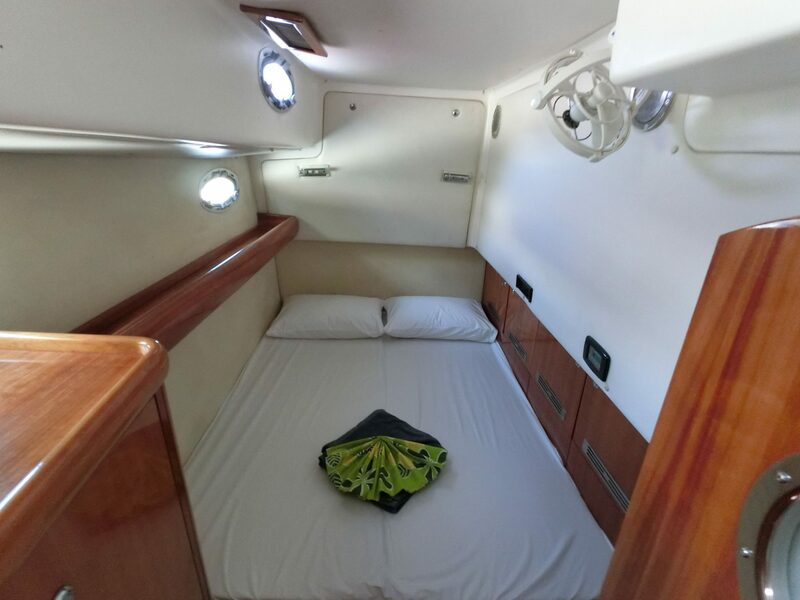 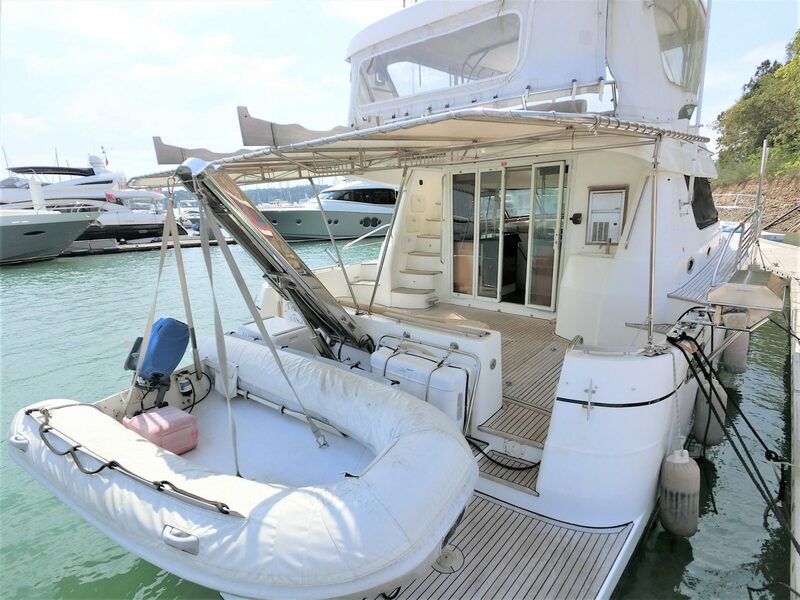 This Catana 45 PC is currently 30mins drive from Phuket International Airport and ready to step onto for your own adventures. 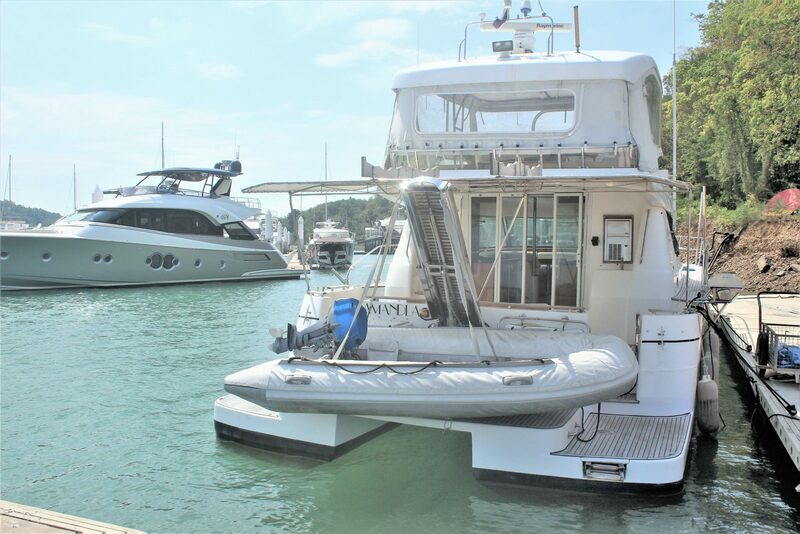 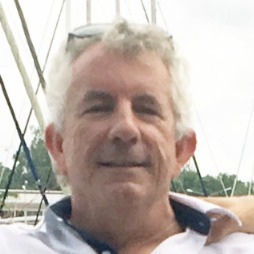 Please see below in the Multihull Solutions webpage her complete inventory and video walk around so make an offer on or close to asking and she can be yours.